At time of writing, the 2015 WWE Summerslam is only ten days away from exploding into action at the Barclays Center in Brooklyn, New York. 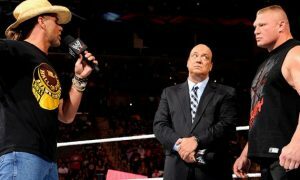 Headlined by the first showdown between The Undertaker and Brock Lesnar since their history defining, streak-ending encounter at Wrestlemania 31, this battle between the two megastar part-timers has pretty much been the selling point of the entire show up to this point. In some respects, this probably seems like an odd thing to say. 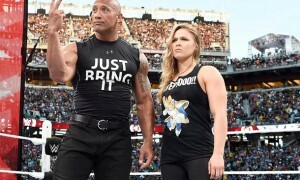 With a whopping four hours to kill, the oft-reviled creative forces behind WWE programming have been throwing everything they can at the annual summertime event, determined cement Summerslam status as the second biggest show of the year. You could even argue they’ve succeeded. After all, even with such a vast amount of new content filmed each week, it’s not every day you get to see a potential title unification match like the upcoming Cena/Rollins bout, nor an in-ring appearance by an actor from a superhero show this writer has been led to believe is pretty popular. Still, let’s be honest here folks; in the run up to August 23rd, the buzz surrounding both supposedly marquee matches has been dwarfed by that centered on Lesnar/Taker II. When it’s all over, it’ll take something fairly significant to happen in order to prevent the post-Summerslam conversation being full of anything other than this much-anticipated rematch. Again, this is apparently the second biggest event of the WWE calendar, the one event the company would have you believe is more significant than the Royal Rumble, more important than the Survivor Series (though to be fair, most events are more important than the Survivor Series these days), the one event that offers more must-see matches than all of those other thrown-together PPV cards put together; and its entire success is largely dependent on a single match. Not that this is anything new. Cast your mind back some 27 years if you will, folks. The year was 1988. The world was a very different place back then, the World Wrestling Federation especially so. Then very much a wrestling promotion rather than the global household name it is today, Vince McMahon’s burgeoning sports entertainment empire was still figuring out how to ride the ever-so-slowly stalling Hulkamania bandwagon to greater heights whilst simultaneously holding off the competition from Jim Crockett promotions. WWE’s solution? More Pay-per-view events. Having created a proven formula for success with multiple Wrestlemanias, and having successfully thwarted Crocket’s own forays into the big time with the creation of the Royal Rumble (also launched in 1988) and the 1987 debut of the Survivor Series, McMahon went at it again with an event he named Summerslam. As soon as the show was announced, Summerslam 1988 already became the company’s second biggest show by default. Despite the popularity of both the Rumble and the tag team elimination format of the Survivor Series, both of those shows were still very much novelty concepts, special attraction shows resulting in only the most minor of consequences for the greater WWE landscape. 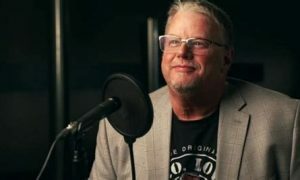 Summerslam, we were told, was going to the mid-year’s answer to the aforementioned ‘Mania, a show so huge and so important that the company chose to build the entire thing around one single match. Still, what a match it was though. Taking place in an age long before the days of Teddy Long: General Manager, main event singles stars tagging together was something of a rarity back in those days, making the opportunity of seeing Hulk Hogan join forces with then WWF Champion ‘Macho Man’ Randy Savage to take down the evil duo of Ted Dibiase and Andre The Giant anything but your everyday TV bout. Hyped to the heavens, and forming the nucleus of a plot which still serves as the blueprint for any pro wrestling love-triangle story to this day, The Mega Powers vs. The Mega Powers was a pretty big deal, almost on a par with Hogan/Andre or the headline bout of the first Wrestlemania. Speaking of which, that inaugural ‘Mania event was sold on one match two, the now legendary Hogan and Mr. T vs. Piper and Orndorff clash with was the focal point of the entire Rock ‘n’ Wrestling campaign. With the possible exception of the women’s championship match -also a major angle stemming from the Rock ‘n’ Wrestling thing- can you name one other important, or even memorable match from that show? Likewise with the first ever Summerslam. Beneath that heavily promoted main event, the rest of the show was predominantly card-filling fodder of little significance, unless of course you count the Ultimate Warrior’s historic Intercontinental Championship win, which wasn’t actually promoted ahead of time. Yet as we’ve already touched on, these were different times back then. The market wasn’t so over saturated, the WWE itself wasn’t burdened with having to create such an abundance of compelling matches as it is today with its multiple hours of television programming and an on-demand network to worry about. Back then, a single match could -if it were done right- sell out an entire arena and provide the catalyst for an entire event’s success. Today? At a time when it often feels like everything that can be done in pro wrestling has been done countless times over? Is it enough? 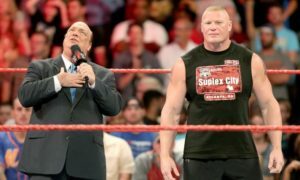 Is Lesnar/Taker all the WWE needs to create a compelling enough reason for fans to tune in for a marathon four-hour show? Only time will tell for sure, but with just ten days to go and counting, isn’t it time delivered something that really made Summerslam feel like the second biggest show we’re told to believe it is?